February 2015 Promotion – Stock Your Spice Rack | I'm Oil In! ← No More “Fat Tuesdays”! Each month Young Living offers the opportunity to earn free products. Every product is assigned a point value (PV). Those values are added together in a single order to determine if you have met the promotion requirements. If you participate in the Essential Rewards program (ordering a minimum of 50 PV in a single order each month), you not only receive a percent of your points “banked” for free products, but you also qualify for promotion perks. 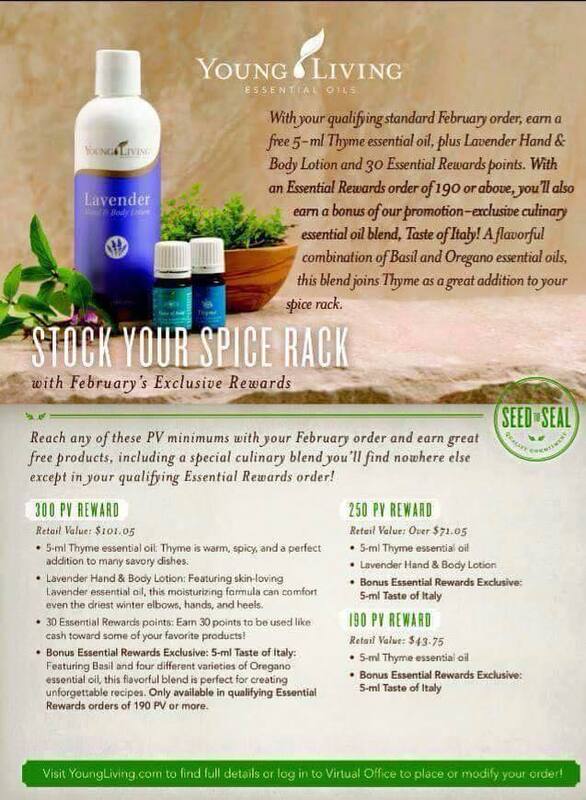 For example, if you reach 190 PV, you will qualify for the Thyme essential oil (for both standard and ER orders). Most people associate Thyme with cooking, and rightly so. Thyme, though, is more beneficial than just flavoring your latest culinary delight – much, more beneficial. Did you know that it even works in the garden? I realize many of us are still in the throes of winter and gardening is months away, but it is never too early to plan. 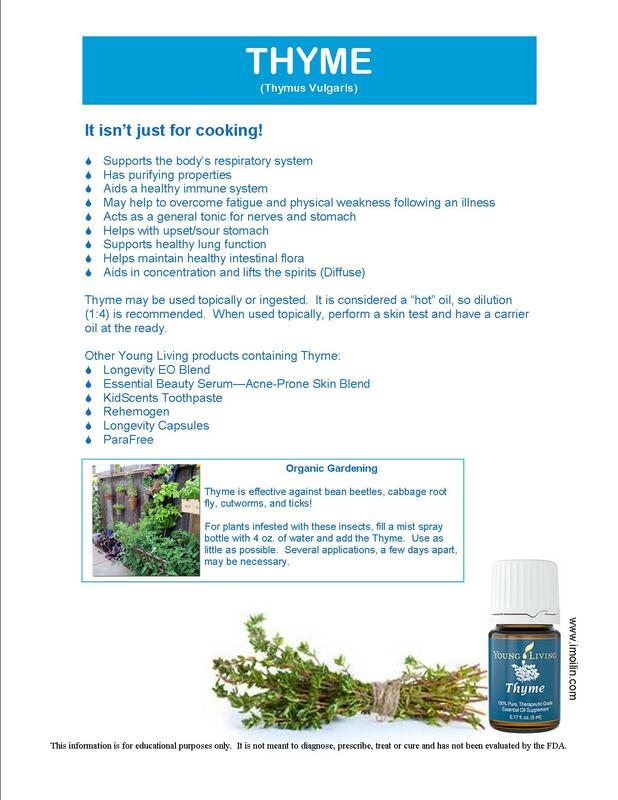 Check out this flyer for a few of the many uses for Thyme, and place your order to receive your free bottle! This entry was posted in Monthly Promos, Young Living and tagged Basil, Essential Rewards, February Promo, Lavender Hand and Body Lotion, Oregano, Organic Gardening, Taste of Italy, Thyme. Bookmark the permalink.